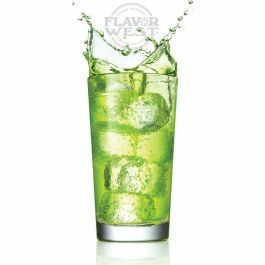 Green Goblin concentrated flavoring is a powerful punch of energy with a smooth easy taste. Type: Green Goblin Water Soluble Flavoring. Ingredients: Natural and Artificial Flavoring, Propylene Glycol, Critic Acid and Ethanol.USP Kosher Grade Flavoring. Usage Rate: 15-20% for E-use. Flavor Suitability: Drinks and beverages, smoothie, desserts, pastries, baked treats and more. Specific Gravity: 1.03 No Refunds on Flavoring. Great flavor to work with. Great as a stand alone, even better in recipes. Great, Tasted just like the real thing. This flavor is as if you were vaping an energy drink! Very good product.